This is a three bedroomed mid-terrace house located in this established position and should appeal to investment purchasers. The property is currently let on an Assured Shorthold Tenancy Agreement at a passing rent of £440 per calendar month and has been occupied by the same tenant for in excess of 15 years. The property comprises entrance porch, entrance hall, living room, sitting room, kitchen, lobby and bathroom with three first floor bedrooms. AN EXCELLENT INVESTMENT AND A REALISTIC PRICE. With uPVC double glazed entrance door. With coving. Stairs to first floor accommodation. With a "Living Flame" effect gas fire set in reconstituted marble hearth with inset and timber surround. Radiator and uPVC double glazed leaded window. With coving, dado rail, radiator and uPVC double glazed window unit. Partially tiled and fitted with a selection of units and incorporating a sink with drainer and mixer tap and having electric oven and gas hob. Gas central heating combination boiler. Plumbing for automatic washing machine. uPVC double glazed leaded window unit. Extensively tiled and fitted with a three piece suite comprising panelled bath, pedestal basin and low-flush w.c. Wall mounted gas heater. uPVC double glazed window unit. With storage cupboard, coving. Radiator and uPVC double glazed window unit. With two radiators and two uPVC double glazed window units. The property has gardens to the front and rear, the rear has been largely laid to pebbles for ease of maintenance and there is a fish pond. The property is currently let on an Assured Shorthold Tenancy basis with a passing rent of £440 per calendar month. The current tenant has been in occupation for in excess of 15 years and is seeking to remain. 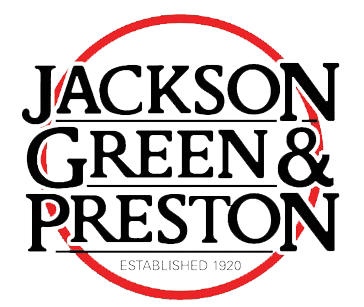 The property is managed by Jackson, Green and Preston Estate Agents. This information was obtained on the 29th January 2019 and is for guidance purposes only. Purchasers should be aware that the banding of the property could change if information is brought to light that makes it clear to the Valuation Office Agency that an error was made with the original allocation.